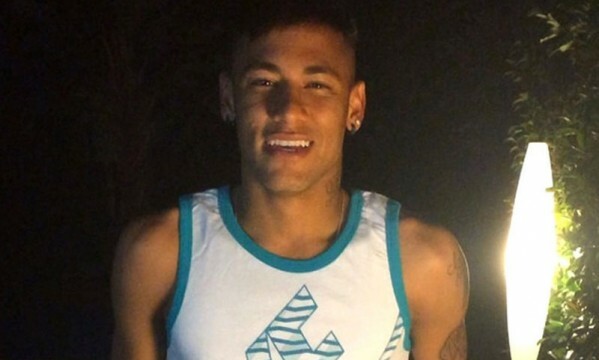 Neymar is one of the latest sport athletes joining the ALS (Amyotrophic lateral sclerosis) ice bucket challenge, after being nominated by his teammate from the Brazilian NT, Marcelo. The Real Madrid left-back issued the challenge to Neymar roughly a couple days ago and it didn’t take that long for the Barcelona forward to respond to it. Basically, all it takes for the challenged to do is to drop a ice bucket on his head and donate a specific sum of money for the ALS disease cause. Neymar is just one of many celebrities who joined this movement, who started becoming very popular first in the United States before it spread over to Europe. Facebook‘s owner Mark Zuckerberg, Microsoft‘s founder Bill Gates, NBA star LeBron James and Real Madrid‘s ace Cristiano Ronaldo, are just a few names of people who have already participated in this peculiar game over the last few days. A few seconds before he got a big ice bucket dumped over his head, Neymar nominated his idol Robinho, Niall Horan (One Direction‘s singer) and Zuniga, the footballer who injured him in his back during the last FIFA World Cup. Neymar and Barcelona‘s next game is against León this Monday night in the Camp Nou, for the Joan Gamper trophy. Neymar is expected to play for at least a few minutes in this friendly.